Natural Brew® Draft Root Beer is brewed in small batches with the finest natural ingredients, including sweet birch, licorice root, sarsaparilla, and - for an unexpectedly rich and creamy flavor - pure vanilla. I got this root beer from my friend Ray. I originally was not going to do a review on this but since I did review Old Dominion Ginger Ale I figured on reviewing this Root Beer also. 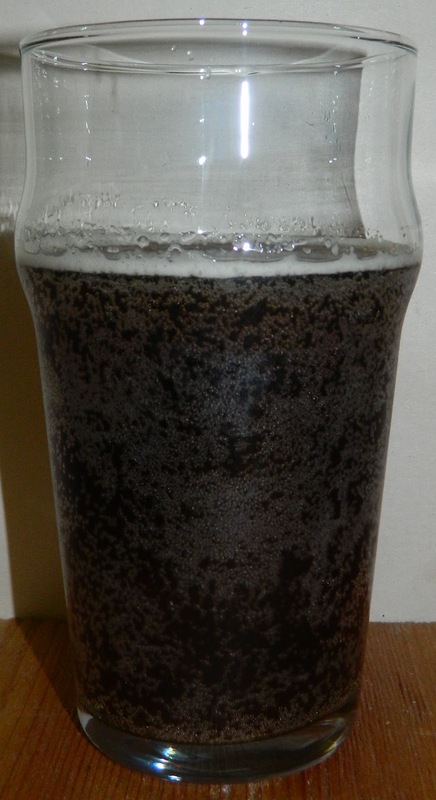 The root beer pours a clear dark brown, not very opaque with amber hues and a diminishing fizzy white head. The nose is very sweet with caramel root beer aromas. Wow, What a disappointing first sip; this is very sweet with caramel and cinnamon flavors mixed in with a little root beer. The taste starts out very sweet up front followed by an almost cleansing effervescence over the tongue in the middle of the sip. The overall mouthfeel is not smooth and creamy like you would expect in a root beer. This mouthfeel is light and somewhat refreshing with a lot of carbonation. The finish is pleasant but a bit of let down. The root beer flavors are modest at best followed by caramel and an odd cinnamon note. All and all this is not a very good root beer. If you’re looking for a good craft root beer try Old Dominion Root Beer. 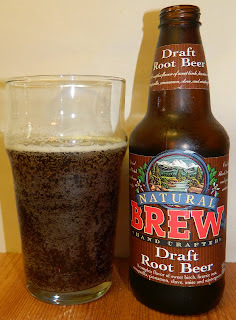 D | Natural Brew Draft Root Beer was a major disappointment with it’s over carbonation heavy cinnamon and caramel flavors that overtake any natural root beer flavor. I cannot recommend this product. If you are looking for a good Root Beer try Old Dominion from Dover DE.